Minor variances between vendor’s SIP implementations can disable enterprise VoIP systems. But by choosing protocol mediation such as that provided by Patton’s new SmartNode Session Border Controller, the SN5200, companies can ensure interoperability among all SIP “flavours” for fast, easy SIP trunking setup. The SmartNode Session Border Controller provides any-to-any protocol mediation for secure connectivity between IP-PBX systems and ITSPs and resolves security and interoperability challenges businesses face when implementing SIP trunking. The SmartNode™ ESBR lowers overall equipment costs by including an advanced IP router, QoS, VoIP-VPN security, least-cost call routing and IP-link redundancy with no added licensing or support fees. Patton’s SmartNode™ 5200 Enterprise Session Border Router (ESBR) is now available for ordering. 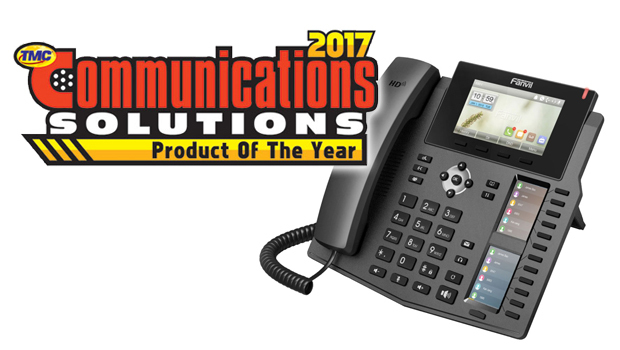 SmartNode™ recently claimed the 2009 INTERNET TELEPHONY® Excellence Award—the seventh major award in five years for the product line.